I have two of everything now. Two sweet children. Two toothbrushes, one home, one in the hospital bag. Two pyjama bottoms. Two hair baubles, one in my bedside table drawer, one in my back pocket. And sometimes, two breakfasts. And sometimes none. The other day the nurses were too busy prioritising the emergencies and had no time for me and my silly need for cereal and milk. So I was glad I had brought some of the BelVita breakfast biscuits with me, they saw me through the morning until things settled down and I got my milk. The lovely ladies at BritMums also sent me a Costa gift card which I will be putting to good use one of these rainy mornings, while baby is busy with the play therapist. 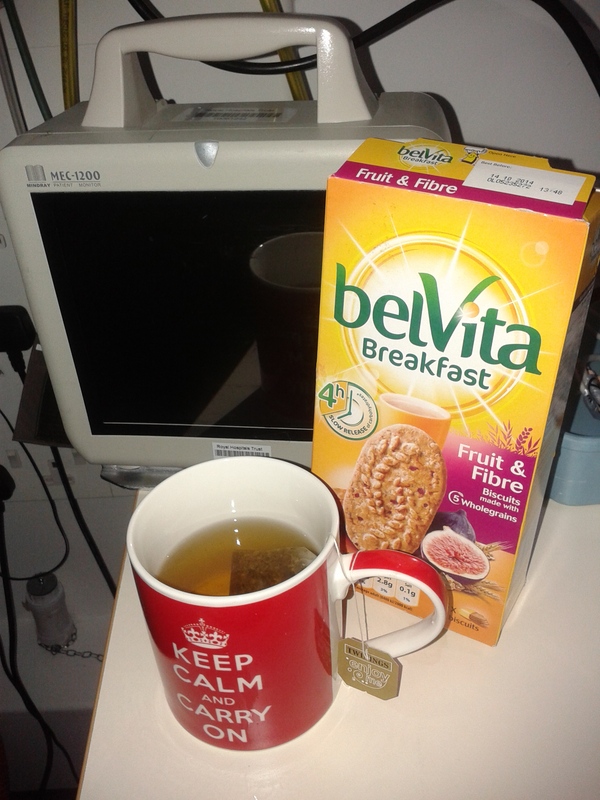 This post is an entry for the #MorningStories Linky Challenge sponsored by belVita Breakfast. Learn more at www.facebook.com/belVitaUK. I am planning a big party once this ordeal is over and my baby home. If I win one of the 10 £100 John Lewis vouchers awarded I will put it towards our celebration of being together again! I stumbled across your blog today (my baby is 4 months also). I am heartbroken for what your family is going through! I will be in prayer for your precious baby boy! I am so sorry to hear you and your family are going through such a very challenging time. Sending best wishes from myself @kateonthinice and the whole BritMums team.